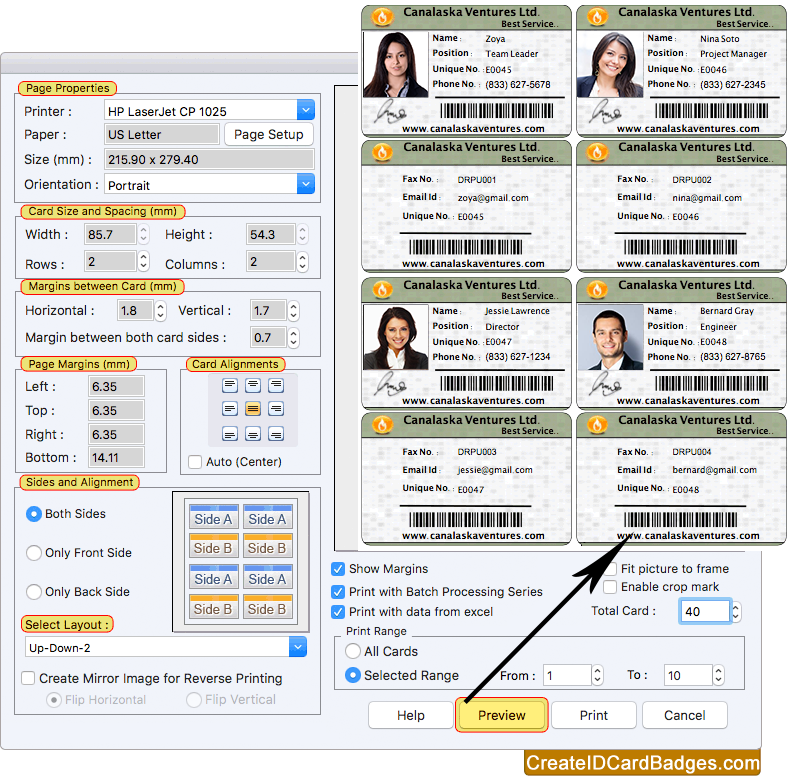 Software has five modules to generate ID cards. Select any one module as we have selected 'Design using Pre-defined Templates' for demonstration purpose. 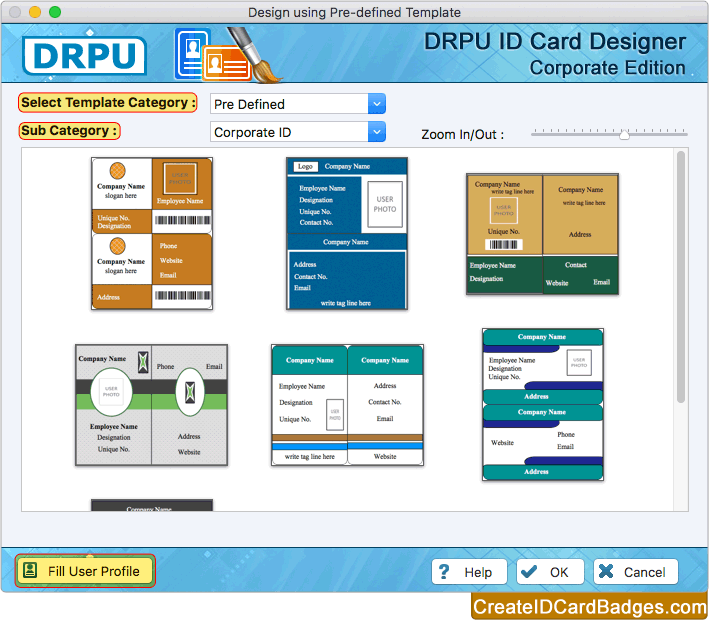 Software has various pre-defined templates, choose any one ID card design sample and click on 'Fill User Profile' button. 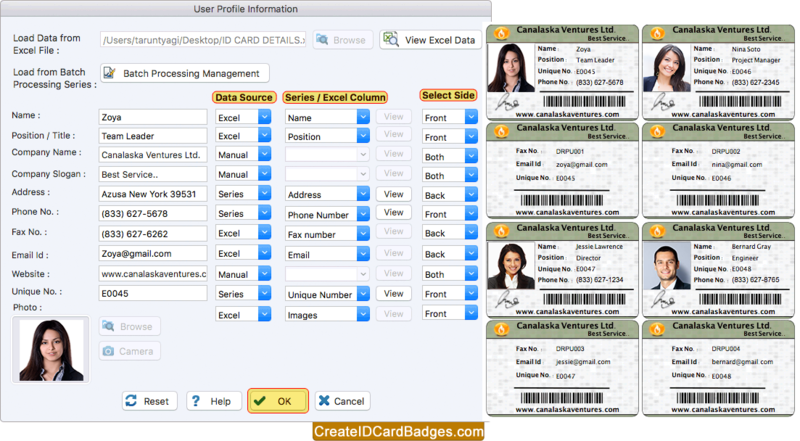 To add ID card details, select Data Source, Series/Excel Column, and Select sides. 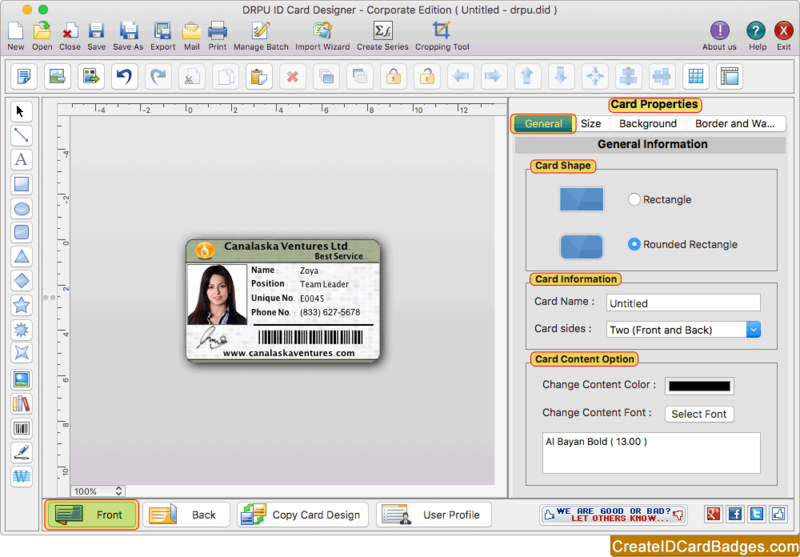 Design or modify ID Card as you want by using various card designing objects such as Text, Line, Rectangle, Symbols, Browse Image, Image Library, Signature, Barcode, Watermark, Triangle, Star etc. 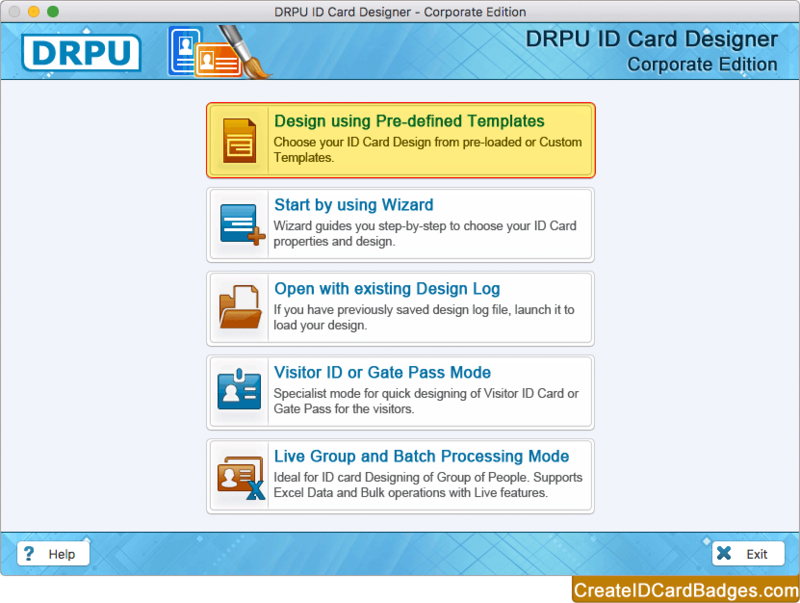 To print designed ID Cards, set print settings and click on Print button. Using Preview option you can see the preview of ID cards.